Popualr Handset maker micromax make its own way in India and launched the Canvas Tablet which functions as Laptop while we attach it with the Portable keyboard. Micromax name it LapTab and is available at affordable price range of Rs. 14,999. Company loves to make the Unique devices and comes up with next impressive. Micromax did great job in smartphones making and got impressive results in business. Micromax’s new laptop is Touchscreen 🙂 Oh yeah its Not laptop but Its Laptab, which has advantages of Both Laptop and Tablet. Micromax’s 2 in 1 device has the last longer battery life and run more than 10 hours, company promised. Micromax Laptab has the 3G silm card support for mobile data. Interestingly Detachable keyboard has the USB 2.0 Port as the Microsoft Surface 3 provide. Operating system on Laptab is upgradable to the Windows 10. It comes up with 1 year office 365 subscriptions and 1 TB free OneDrive Storage. If you want to looking for the smaller gadget which fulfill the Laptop and Tablet needs on the Go, Micromax LapTab is the Perfect and is total value for money. 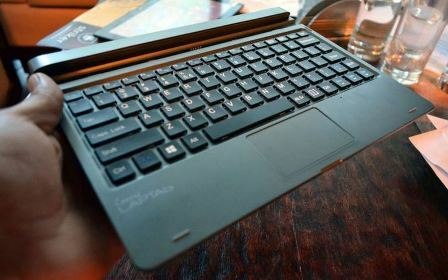 Check out the Micromax Canvas Laptab tour by company, unveiling the Smartest Laptop ever. Best reviewed Google Nexus 7 tablet by is no more in Google Store. Most demanded and highly rated affordable tablet discontinued from the store and assurely isn’t coming back. Company stopped selling of this tablet through online store in US and Still limited pieces available on the retailer stores. If you still want the Masterpiece Google Nexus 7 then Go and get the one quick. Nexus 7 2013 model actually made by Asus and long run device discontinued and Google stops selling the Lovely Tablet. You have the Nexus 9 as an alternative but it costs more. Google’s High resolution 7 Inches Nexus 7 tablet you can get at low price than the Nexus 9 but you have to get it fast before it reaches the stock limits. If you are wondering for the Nexus 7 Tablet features then follow the detailed specifications below, which helps you to get the one from retail stores. Hurry up to get Nexus 7 Tablet from the retail stores before it labeled with Out of Stock. Micromax launched new Affordable tablet Canvas Tab P480 in India worth Rs. 6,999. Its the 7 inch budget tablet for the wide screen lovers. Canvas Tab P480 is available is two color variant blue and White. Previously company launched P470 and P666 tablets of 7 and 8 inches respectively and one more device ins same canvas series Canvas P480 launched in country. Canvas Tab sports the the 7 inch IPS display with resolution of 1024×600 pixels density. 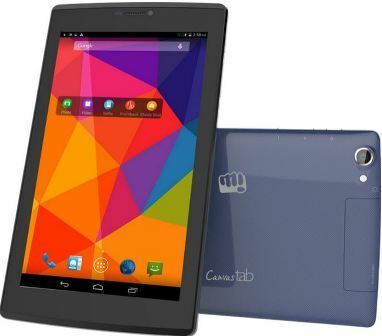 Micromax canvas tab powered by 1.3 Ghz quad-core chipset and have the 1 GB RAM support. Micromax Canvas Tab has the 8 GB on board memory and has the capacity to 32 GB expandable via sdCard. Micromax Canvas Tab has the Android Operating system support with Kitkat 4.4 and upgradable upto Android 5.0 (Lollipop). Micromax tablet sports the 5 MP rear camera with 720 pixels capture along with LED flash. It has 2 MP front facing camera. Tablet is perfect for its battery capacity. Tab P480 has the 3000mAh last longer battery and it offers the 9 hours of talk time and 169 hours of Standby time on 2G network. Micromax Canvas has the Common required features including WiFi, Bluetooth, GPS etc. Micromax Canvas P480 is the affordable high tech featured tablet from trusted brand. If you are looking for affordable tab from trusted brand than Micromax P480 is the boon for us. Microsoft, The fastest moving company and Well known for its windows operating system. Launched Its new Tablet in Surface series. Microsoft Surface pro 3 is the sibling of Microsoft Surface 3. Newly launched device is Slim, Small and cheapest than the pro version. It is the Fully features Tablet which runs any of the Windows software, just like the Personal computer. Its really a powerful device with awesome specifications. Surface 3 is just looks similar to the Pro tablet including design. Display of the device is 10.8 inch and which is not as much smaller than the 12 inch surface pro. But you will found the difference only if you pick up both the devices Surface 3 and Surface Pro 3. This is the upgraded version of the Surface 2 tablet. Microsoft Surface 3 is full-fledged windows 8.1 operating system capable of handling all kind of software of PC. Its also can be upgrade for windows 10 when its available to you. 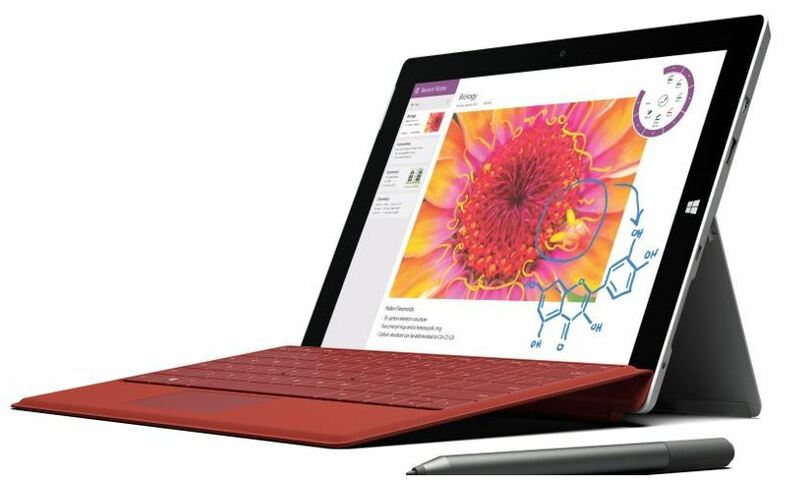 Get the detailed specification of the Tablet Surface 3. Surface 3 has the inbuilt 3-position kickstand. Also has the excellent Microsoft designed docking system and not compatible with the Pro 3. Microsoft Surface 3 starts at the $499 with 64 gb of storage, 2GB of RAM and WiFi. For 4 GB RAM and 128 GB storage it cost $599. It also includes the Office 365 personal. I short its just the Powerful device with Slim body and also it is light weight. Make sure that the Official Price may vary. 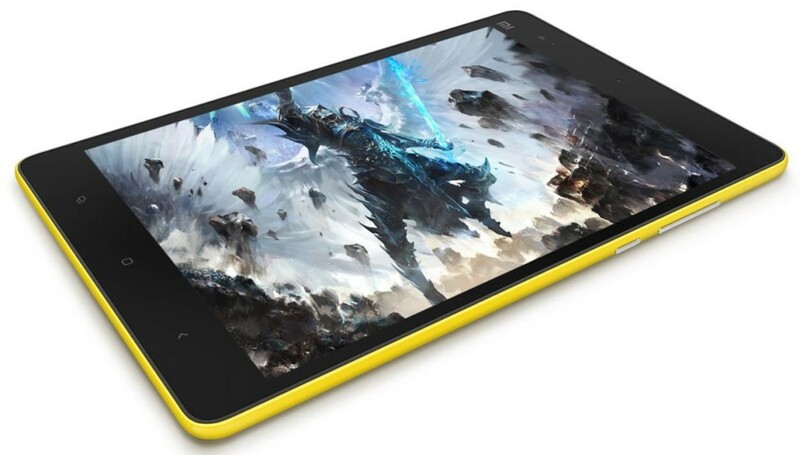 Chinese smartphone manufacturer Xiaomi sold out the Xiaomi Mi 4 64 GB model via the Flipkart Open sale on 28th March and now comes up with the one more Xiaomi device, that is Xiaomi Mi pad tablet and will be available through open sale via the Filpkart online store. Xiaomi comes up with new strategy to sale the Xiaomi Smartphone as it won’t be flash sale but it will be the Open sale. Xiaomi previously tried the Flash sale approach on flipkart but it was disappointing for some of the non tech savvy persons because it sometimes need to register multiple time if you didn’t get one in specific time. But Xiaomi now changed the approach of selling the smartphone and it won’t be frustrating because its the registration free process. Open sale means company has enough units to offer without worrying about the stock limit. However it doesn’t necessarily mean that the device will be available all the time. It might got sold in few hours.